Welcome once again to Not Enough Time in the Day and our Saturday Spotlight. I'm excited to introduce you to a new author from Australia, Jessica Slater. She's just released her very first book Bellvara. 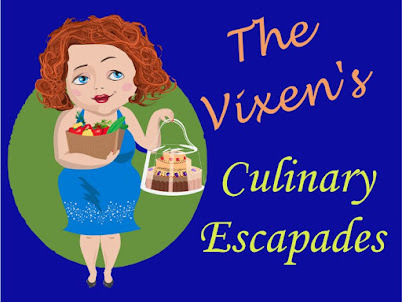 It's a fantasy/paranormal novel about Sienna, a 16 year old girl searching for her kidnapped mother. The girl is only half human, with the other half that of a witch. With the help of her light Elf boyfriend and three other friends, Sienna must travel deep into the forests of Bellvara, uncovering more of her own past in order to find out who kidnapped her mother. Let's find out a bit more about Jessica and her writing, shall we? I think what inspires me to write is a lot of different things. My mother is a big inspiration for me as she writes books as well and her writing, as modest as she is, astounds me. My past is also a big thing that inspires me. I had a pretty bad past and I always thought it helped to write poems but then the poems turned into books as I got older. I am definitely a bit of both. 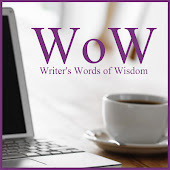 I do plan every detail of what I want to write and what I want my chapters to entail but sometimes the characters take over and want to change things. All my stories are driven in different ways. For Bellvara I believe it is more plot driven then anything. I am usually one of those people who can’t listen to anything while I write or read. If I do I tend to read sentences over and over until I get frustrated. However, on the rare occasion I can listen to music while writing and I tend to listen to Megan Nicole (a youtube artist), Christina Grimmie (another youtube artist) and Taylor Swift (who I have just recently started loving). Well in Bellvara, I've made Sienna (the main character) a strong 16 yr old who still loves being rescued on the odd occasion. She has more strength and power than any of the other characters' but she loves being cared for also. This appeals to me because I believe I am somewhat like this. I have so much strength from my past that I am an independent type of person' but I also love having caring people in my life who are always there for me. I actually didn’t think about it until presented with these questions, but Sienna is a lot like me' and I believe her trying to find her mother is kind of me trying to find the relationship with my mother that I lacked when I was in school. Don’t get me wrong me and my mum are close and I love her to death' but I think my relationship with her now is a whole lot better than when I was younger. I always tend to write about romance and family. I believe I am drawn to these types of stories because it is what is most important to me and due to my past experiences I have learnt family is the most important thing. Romance comes a very close second. The genre that I read the most is definitely Fantasy. Other than that I like Horror, Mystery, Romance, Historical Fiction and Young Adult novels. I don’t read a lot of non-fiction books but when I do it is mostly history books. I am a sucker for modern history, learning about the wars, the great depression and other stuff like that just excites me. I am actually at university majoring in Modern History. I am a crazy fan of Richelle Mead, she is my favourite author, and I’d do anything to meet her. I also love Lauren Kate, Cate Tiernan, Kim Wilkins, Jessica Sorensen (who is a fellow self-published author) and Julie Kagawa. I think they appeal to me because there books are so different from any other. Sure they have witches and vampires and stuff like that but their storylines are just so captivating and different. Definitely something like Richelle Mead’s ‘Vampire Academy’ books or even Cate Tiernan’s ‘Wicca’ Series (that I have read about 10 times). Who is your favorite all time heroine? Why do they resonate so well with you? My favourite heroine would have to be Rose in Richelle Mead’s ‘Vampire Academy’ books. She is such a strong character and always cares for others above herself. I think of myself as this kind of person, I always prefer to put others above myself. Probably a silly one but definitely Batman. I love the fact that he is just a man. He has no super powers or anything special like that, he just uses his riches to pay for all these different things so he can go out and save Gothem without anyone knowing who he is, which shows he is a man who wants to protect his home and doesn’t care if he gets the credit for it or not. I believe that kind of person is a true hero. There are many people who inspire me all the time. My mum is a big inspiration to me with all her fantastic writing, Kim Faulks is also inspirational as she helped me get my book out there and helped me self-publish it. Richelle Mead, Lauren Kate and Cate Tiernan are all a big inspiration to me. I read their books and want my books to be just as good. Another person who is a big inspiration is my modern history teacher from last year. She always knew I had it in me to succeed and she kept pushing me. The biggest inspiration of all though is definitely my boyfriend, Luke Fuller, without him I woud never have finished ‘Bellvara’ and I never would have written Life Shifted. Music is a big one. I love listening to different music and getting lost in the songs. I definitely get inspiration from books and movies as well. 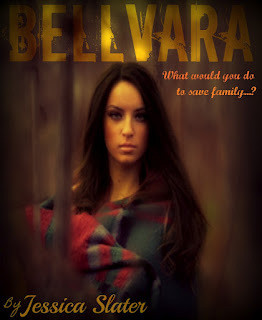 Richelle Mead and Cate Tiernan’s books helped me write Bellvara. They inspired me to write that kind of genre. My biggest enjoyment is modern history. Every time I read something new about history I get excited. I am in university at the moment majoring in Modern History and English and also studying to get my teaching degree as I want to be a high school teacher. I don’t have a job at this time in my life as I have made university my top priority and am studying fulltime. History has definitely helped me with my writing as well. Bellvara is a story about family dramas and what a person is willing to do with the right motivation to save the people they love. My book takes place in a completely different world. The world is a magical place called ‘Bellvara’ and although Earth does come into the book, Bellvara is the main world. My book is most definitely in the present time. Well Bellvara is a magical place and all of its inhabitants are magical in one way or another. Magic plays a big role in this storyline and I try to give it a more modern setting. The heroine is a strong and determined half witch named Sienna who will stop at nothing to ensure the people around her are safe. She sometimes has a playful side but most of the time she is serious and ready for anything. What drives her the most is her never knowing who her dad is and her mother getting kidnapped. Sienna drops her life to try to find and save her mother. Although they didn’t have the best relationship, she would do anything to protect the only family she knows. I guess in a sense she is running further and further away from her past. From the bad relationship she had with her mother mostly. What obstacles will she encounter in this story? This story has a crazy amount of obstacles that Sienna and her friends (who accompany her) have to get past in order to save her mother. They must go deep into the forests of Bellvara which is crawling with all sorts of terrifying beasts. Another big obstacle for Sienna is the dreams she has throughout the book, figuring out what they mean and who is in them. What draws her to the hero in this story? What gives her that push away from him? Sienna is the heroine in this book but she is drawn to a good looking light elf named Riley who does save her in some circumstances. What does she need to learn to make the happy ending possible? She needs to learn how important family really is and that no matter what family comes first. Probably the fact that she never knew her dad. That is emotional for her because she always wonders who he is and what he is doing. And the fact that she has an estranged relationship with her mother makes it worse. Is there a villain? Who is he? What’s he like? Why is he/she the way they are? What motivates him/her to cause oppositional force to the characters? Without giving any spoilers, can you give a hint as to what sort of opposition he/she gives to the main characters? In my book there are actually two villains. I can’t really say too much without giving it all away but these two people play a big part in her life. There reasons for kidnapping her mother come at the end of the book so I can’t really say anything. The theme of my story is finding out what it truly means to be a family. The main message I want readers to take away from this is that even if you don’t have a strong relationship with your family they are the most important people in your life and would do anything for you. This book is a part of a 3 book series. The second book in the Bellvara series is still in Sienna’s point of view but focuses on Riley a lot and his past. I have never released the name so here it is for the first time: Snake of the Elves. I am working on the second book in the Bellvara series at the moment and also a completely separate book. It is set in Roman times and it is called ‘Last Touch’. I have also just finished my second book called ‘Life Shifted’ which is loosely based on my experiences with my boyfriend and our past. In around 2-3 weeks I will be releasing ‘Life Shifted’. ‘Last Touch’ will probably come next year some time as will the second book in the Bellvara series. Great post. Sounds like an interesting story. So lovely to find out more about Ms. Slater and her book!! Thanks for sharing, Tammy! !